പുനലൂർ എന്ന പേര് വന്നത് പുനൽ , ഊര് എന്നീ തമിഴ് വാക്കുകളിൽ നിന്നാണ്. പുനൽ എന്നാൽ വെള്ളം എന്നും ഊര് എന്നാൽ സ്ഥലം എന്നും അർത്ഥം. അതിനാൽ പുനലൂർ എന്നാൽ വെള്ളം ഉള്ള സ്ഥലം എന്നർത്ഥം . കല്ലടയാറ് ഉള്ളതിനാലാകണം ഈ പേര് ലഭിച്ചത്. തമിഴ്നാട്ടിൽ നിന്നും വരുമ്പോൾ വീണ്ടും കാണുന്ന ആൾപാർപ്പുള്ള സ്ഥലമായതു കൊണ്ടാണ് ( പുന എന്നാൽ വീണ്ടും, ഊരു എന്നാൽ ഗ്രാമം എന്നുമാണ്) പുനലൂർ എന്ന പേരുവന്നതെന്നാണ് മറ്റൊരു പക്ഷം. 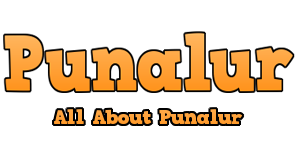 It is believed that Punalur derived its name from ‘Punel’ - the Malayalam word for ‘funnel’. Another version attributes its name to be the combination of two words; Punnal's (water) and 'Uru' (place), alluding to a number of rivers that traverse the town. Punalur was a famous center during the period of Travancore kingdom. It became a famous township when it became the capital of Pathnapuram taluk due to an attack by thieves at the Pathanupuram centre.Later due to the comming of wild animals from the other side of kallada river to the town and also to connect the country to the tamil region Punalur suspension bridge was constructed by the Britishers.Punalur paper mill was constructed by a British citizen due to the availability of raw products & the water from kallada river.Later the township elevated to one of the largest townships in Kerala.The Punaloor became a municipality in 1972.Punalur market was constructed by the His Highness Sir Sri Moolam Thirunal, Maharajah of Travancore due to the rich agricultural background. Main agricultural products of this township include rubber, black pepper, and other spices. The chief commodities of export here are the hill produces, pineapple, pepper products, plywood and timber. the Punalur Paper Mill Ltd., a paper Industry established in 1888 by a British Nationale was under the control and management of Mr. L.N. Dalmia till 1984. This prestigious organisation was closed due to labour disputes and improper handling of the situation by the mill management and the state government.Now it is taken by an organisation Athula Industries,Hyderabad. Punalur market was in its hight during the time of Punalur paper mill.The Punalur plywood industry another important wood factory in the whole state.Punalur market is also assisted by the agro industries. Some of the tourist spots near Punalur are Thenmala Ecotourism (21 km) and Palaruvi Water Falls (15 km). Punalur is on the western edge of Agasthyamalai Biosphere Reserve. There is a municipal stadium which is only an open ground. Pilgrims from Tamil Nadu going to Ayyappa temple at Pampa halt at Punalur, making it a busy place during festival seasons. It is a city and a municipality in Kollam district in the southern state of Kerala, India.It is the second largest town in Kollam. 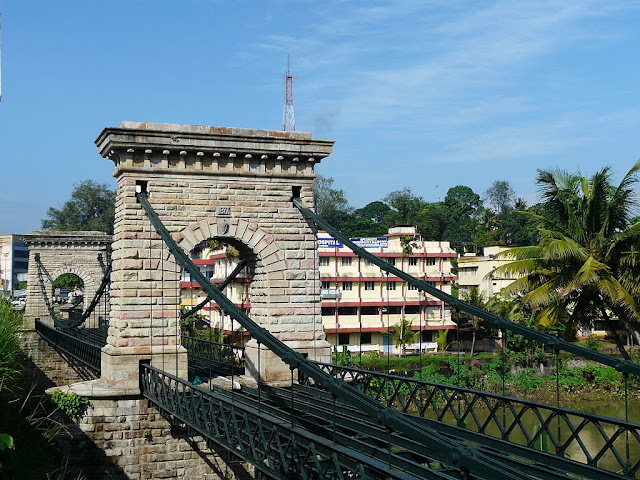 It is situated 45 km north-east of Kollam and 75 km north of Thiruvananthapuram. Punalur is the head quarters of Pathanapuram taluk. Punalur Railway Station is located on the Kollam-Shencotta railway line.A new rail is proposed from Sabarimala-Pathanamthitta-Punalur-Thiruvananthapuram. The nearest airport is at Thiruvananthapuram. The Main Eastern Highway (Punalur-Pathanamthitta-Muvattupuzha Road / SH - 08),(Punalur-Ayoor- Road / SH - 48)which connects Punalur to Thiruvanthapuram-state capital and Kollam - Shengottai Road (NH-208) connects the town to other major towns.